Bioshock Infinite destroy all Vox zeppelins. Use songbird to protect Booker's zeppelin. In Bioshock Infinite, Elizabeth will take control of the songbird as she realizes that the cage design she was given is, in fact, a pipe whistle and musical instrument that can be used to control the songbird. Elizabeth and Booker must use the Songbird to destroy the airship, barges and enemy zeppelins that will swarm in to destroy Comstock’s zeppelin. This will guide Booker and Elizabeth with the appropriate tactics to protect the zeppelin’s control pylon (on the command deck) from being destroyed by the Vox Populi forces. 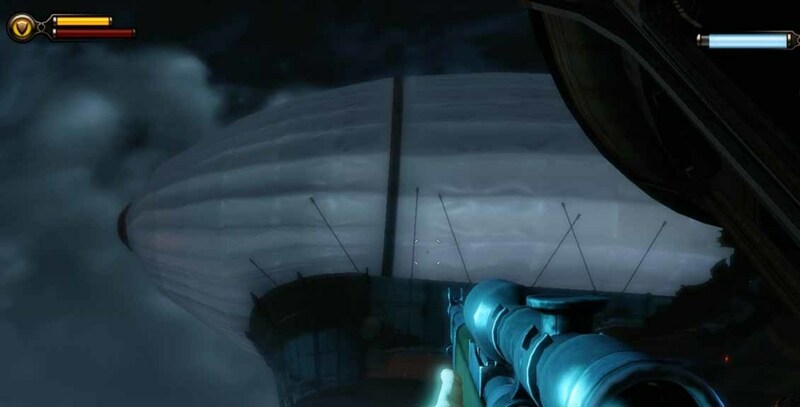 Before Booker can protect the top command deck, he and Elizabeth must first get to the top of Comstock’s airship and the command deck. This involves using a lever to get rid of the patriots statues hanging along the skylines and then using the skylines to navigate onto the decks one level at a time, starting from the lowest level. This part of the game is easy. Use cover and attack the enemies from far. Once each deck is cleared, go onto the next deck using the skyline. When going onto each deck, use the skyline to perform skyline strikes on the enemies and then clear out each deck. And finally, Booker and Elizabeth will reach the command deck. This is the ultimate fight in Bioshock Infinite. Finish this fight, and Booker will “win” the war against the combined Columbia and Vox Populi forces. This fight is divided into a few stages, and tactics to use on the command deck for each stage is listed below. Elizabeth gets hold of the pipe whistle and musical instrument and controls the songbird. She tells Booker that the songbird can be directed against the first airship. So direct the songbird to defeat the first airship. The Vox Populi men would have jumped down from the airship before it is destroyed by the Songbird, so take aim at the men with the sniper rifle from high grounds and take them down. Next, more airships with men on them will approach. Take down the men, and then when the songbird meter is full again, direct the songbird to attack the barge. It is better to take down the barge because it has a large mounted gun underneath and this can take down Comstock’s zeppelin control pylon faster. Finish off the men with the sniper weapon, and then pick up some RPGs from the right of Booker (when facing the command deck). Go forth and use the skyline and use sky strike on the rocket launchers on the two sides of the command deck. Finish them off with melee strikes or close range rocket launcher attacks. Save the sniper rifle attacks for later. The first vox zeppelin will emerge. Direct the songbird to destroy the first vox zeppelin. If this is not done, the ground or command deck enemy forces will be multiplied. If the vox zeppelin is destroyed, Booker will contend with a reduced number of patriots and vox enemies. The tactics here should be: use the skyline to go behind enemy forces. 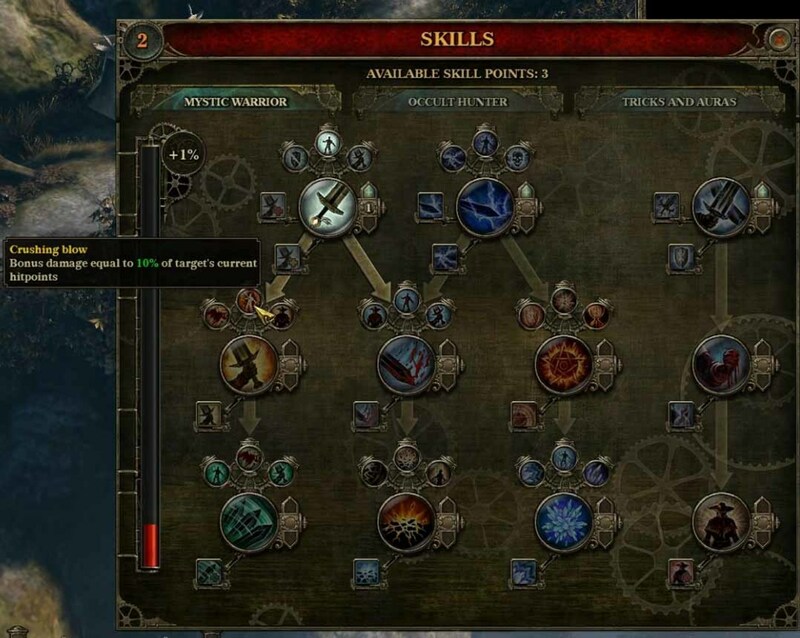 Equip Booker with the murder of crow vigor in one mode and the shock jockey vigor in the other mode. Whilst on the skyline, use the murder of crow vigor on the vox populi. Then, on reaching the ground, finish off the men of the Vox Populi. Now chase after the patriots. They will be focused on the Comstock zeppelin control pylon and their back will be exposed to Booker. Use shock jockey to slow them down, and then use the RPG or the upgraded sniper rifle to attack them from the back. The patriots will be defeated easily without much damage to the control pylon. The next wave of vox zeppelin will emerge. There will be two zeppelins. Use the songbird to destroy one zeppelin. Then the patriots and vox populi forces will appear and attempt to overwhelm the control pylon. Repeat the tactics above. The second wave of patriot led forces will be stronger and there will be rocket launchers as well. When the patriots are destroyed, go up and destroy the rocket launchers from close range. After this fight, heal up and then when the songbird meter is back to full, destroy the other Vox Zeppelin. Finish off any more wave of patriots and other remaining forces on the command deck. Booker and Elizabeth are victorious……… at least temporarily. This is the final fight in Bioshock Infinite. Go and meet Elizabeth at the bow of the ship and then head to the angel statue and the siphon. For this particular Elizabeth, based on a choice made earlier, the siphon (and the songbird) will be destroyed. Now, watch the ending of Bioshock Infinite at the Sea of Doors. If there was no beginning, there will not be an end………..